I woke up this morning full of energy even before our wake up call. That already says a lot, (My parents will tell you, it NEVER happens. 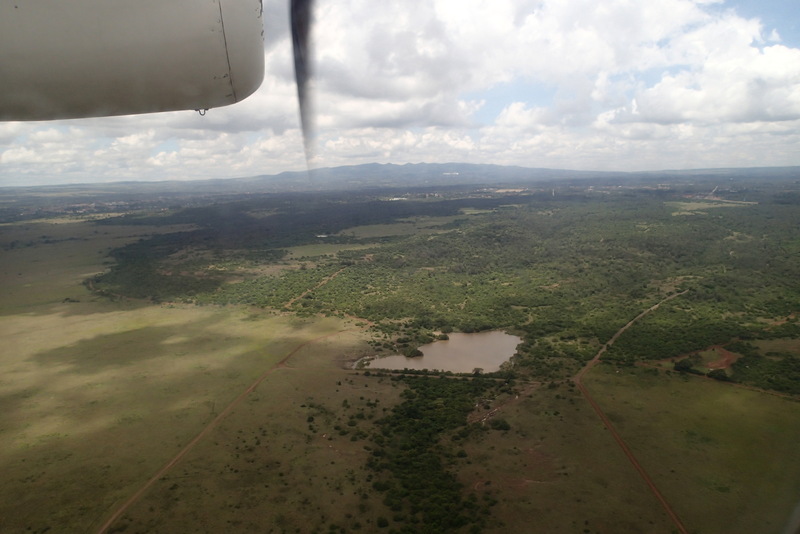 I’m prone to being able to sleep right through my alarm) but we were one short flight away from finally being in the Mara. Today was to be a very busy day. 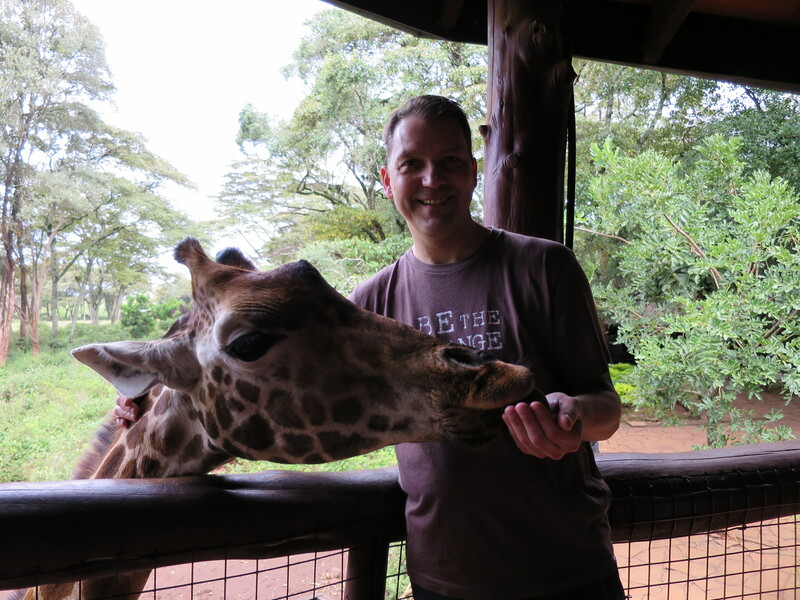 We’d get to meet the other families going on this adventure with us and we’d visit both the Giraffe Centre and Elephant Orphanage in Nairobi before heading out to the Mara, and I could hardly wait for any of it. 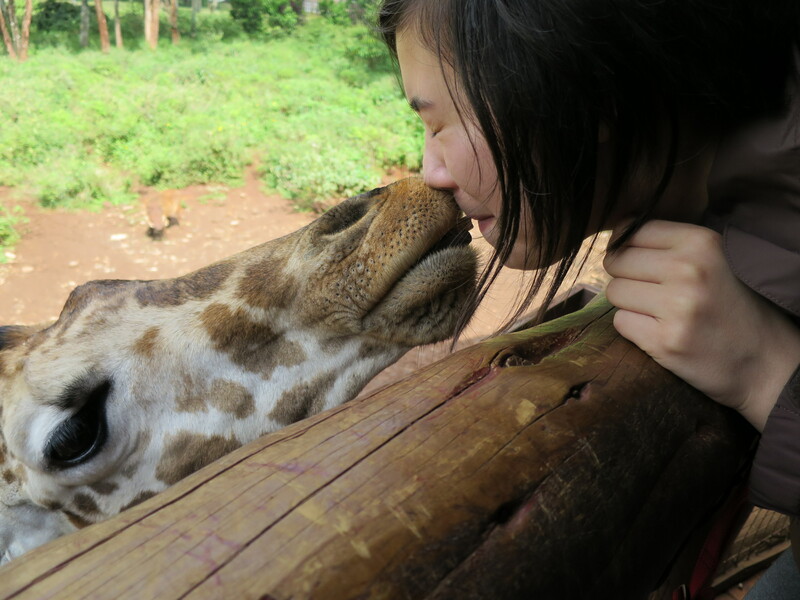 The Giraffe and Elephant Centre were both so wonderful, I mean, what a way to start the day. At the Giraffe Centre they take care of an endangered species of giraffes (or twiga, in Swahili, which was my nickname on this trip) called a Rothschild giraffe. 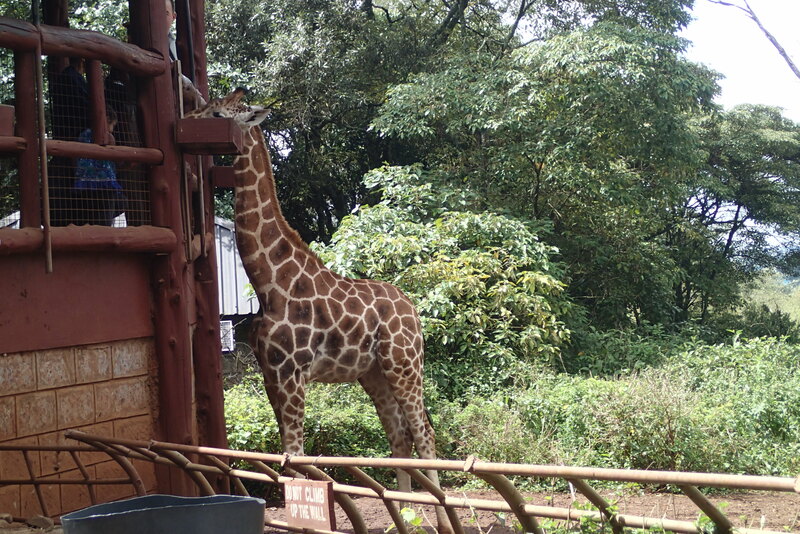 We had a bit of a lesson on the giraffes themselves as well as what they were doing at the Centre and then we got to go out on a sort of platform tower where we were at eye-level with several of the giraffes. Besides the occasional headbutt, these things were so sweet! 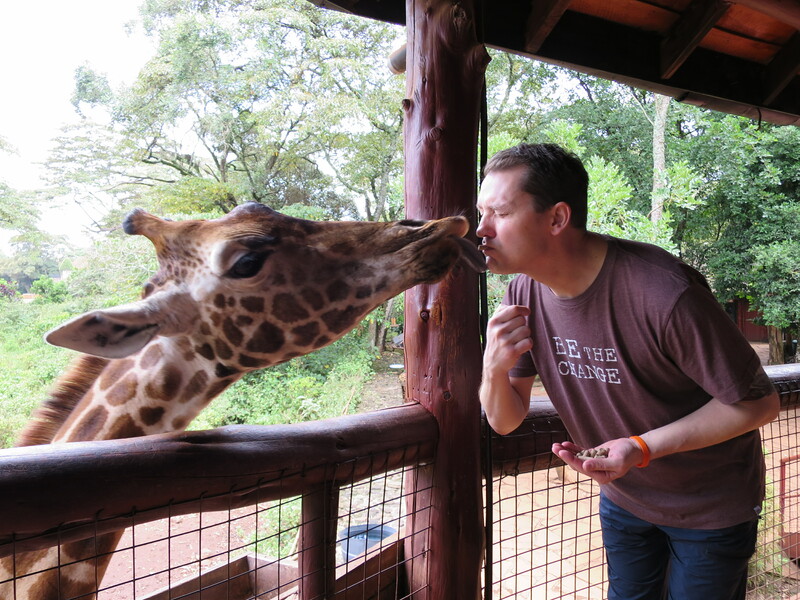 We were given food pellets to feed them with and you could drop the pellets onto their huge black tongues, or, if you were feeling brave, put a pellet between your lips and lean over for a nice big giraffe kiss! 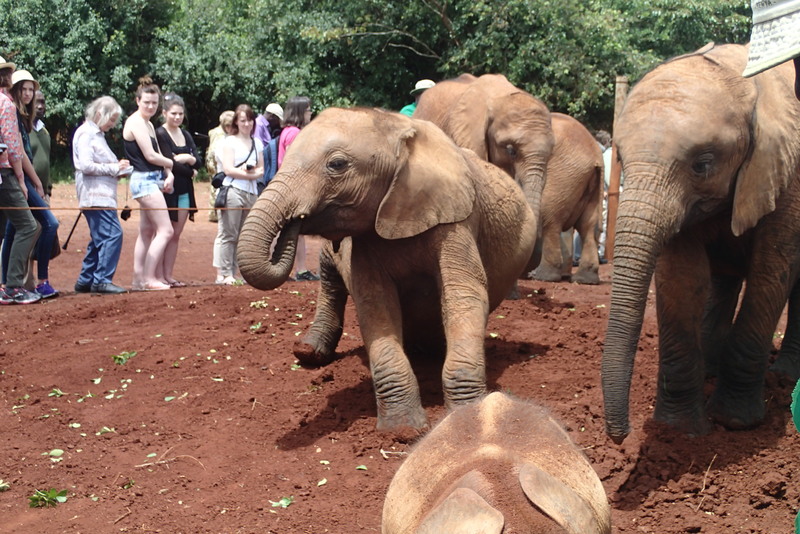 Next was the elephant centre, which was actually an orphanage for BABY ORPHAN ELEPHANTS! (It really doesn’t get much cuter than that.) 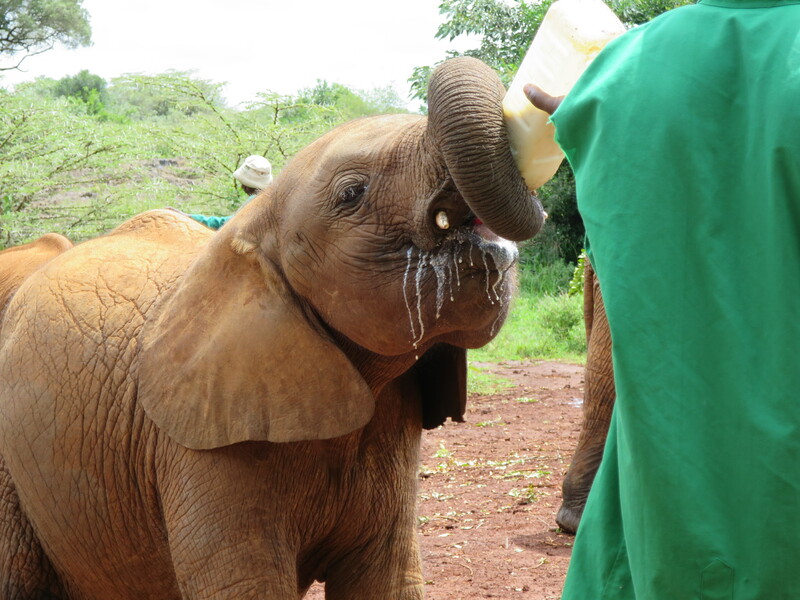 We got to watch the caretakers feed the elephants and give them soccer balls to play with as well as meet some school children who were there on a field trip. We only had one flight to go now before we’d reached our final destination, and thankfully this one was the shortest. (From different perspectives, it was both beautiful and terrifying. It’s not always reassuring when your plane is so small you can see right into the cockpit, but then again, that way I could be sure the pilots were, you know, focused.) 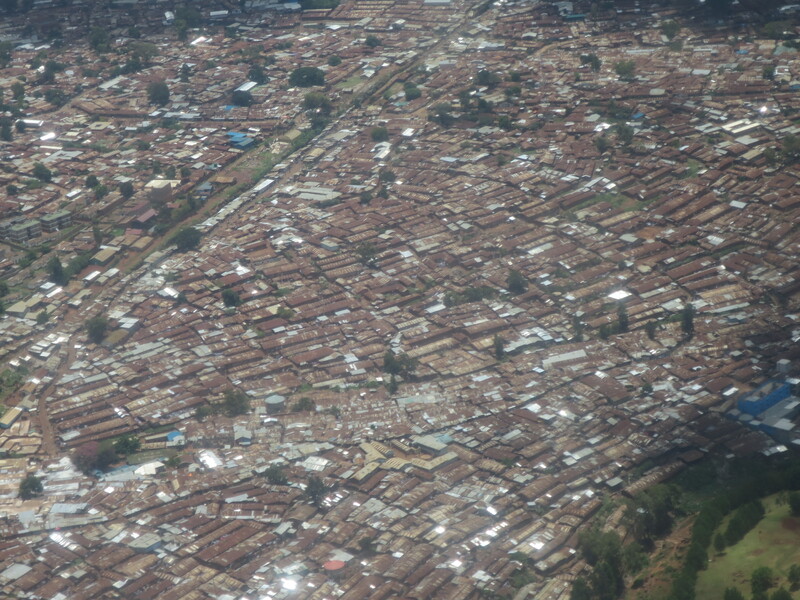 This flight was perhaps the most beautiful as we were low enough to see the landscape as we went over, as well as the slums. 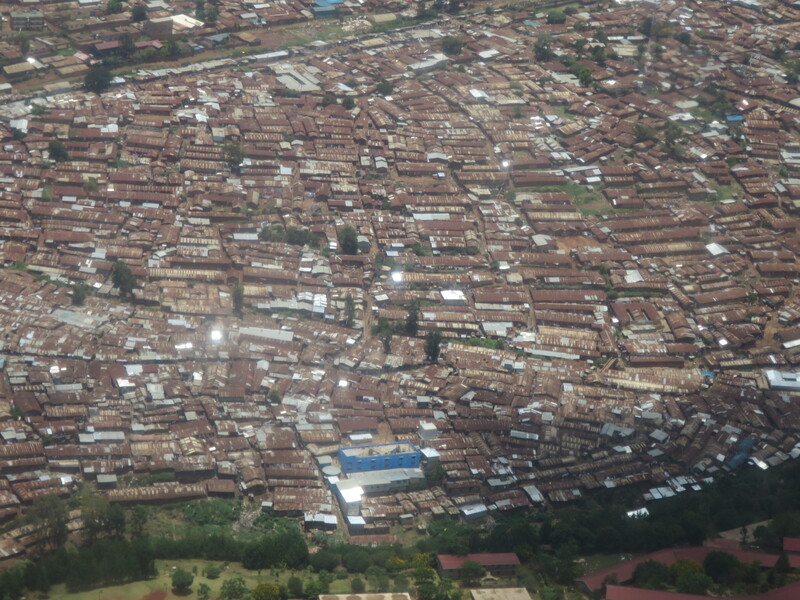 The slums, which we only really saw for a second, contain over one fourth of Nairobi’s population, according to one of the guides. That’s one million people, by the way. Finally, after about 19 hours of flying and several hours of driving, I finally saw what I pictured of Africa; grasslands. In fact, that’s all I can really see at all now. No matter how far you look in any direction you can’t catch a single glimpse of a city. It felt like we were really and truly in the middle of nowhere. Yet, at the same time, there’s so much more to see. 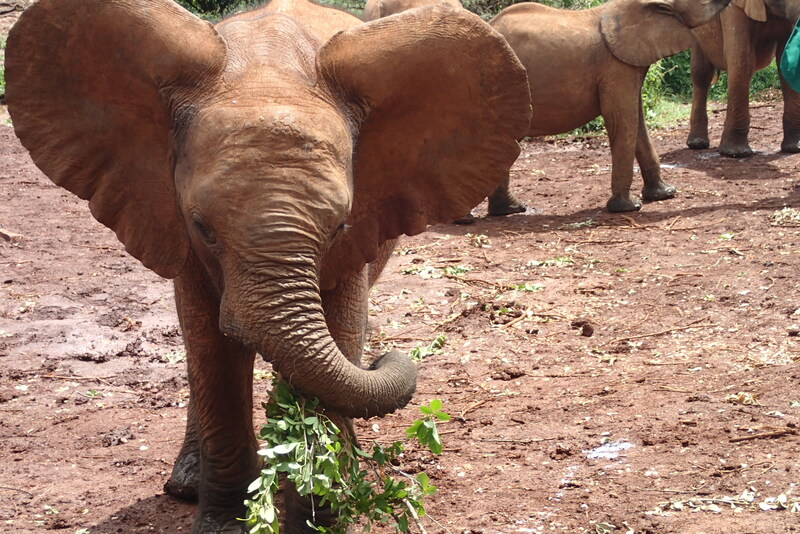 As we were driving from the little airstrip, that our flight from Nairobi dropped us off at, to Me to We’s camp, we basically got a mini-safari. 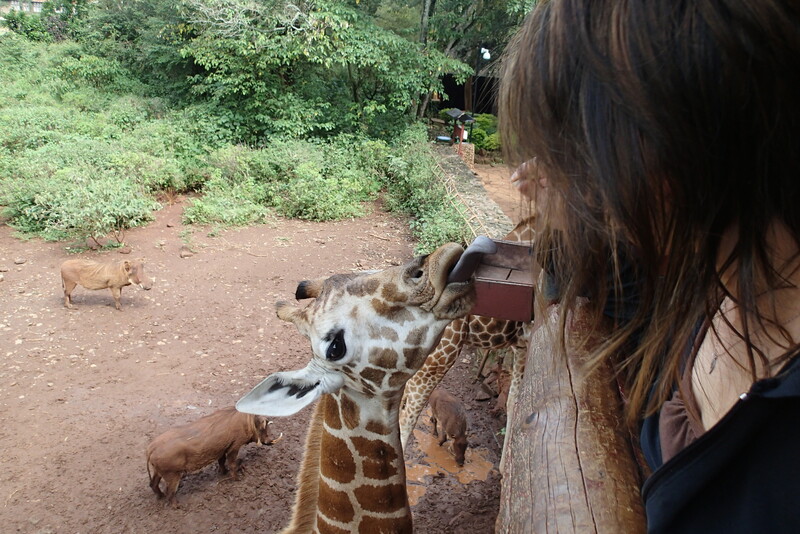 Giraffe, gazelles, monkeys, zebras; we all scrambled to take pictures of just about everything. I’m trying my best to remember as many details to paint an accurate picture of Kenya as I see it, in hopes that it will help me and anyone reading this imagine this beautiful place more completely, but it really isn’t easy. One of the things I hadn’t really expected when coming here was the fields upon fields of corn. Many people here practice agriculture, (and you can also sometimes see herds of cows, goats, or sheep grazing alongside zebras or gazelles) The most common crop is a type of corn called maize which is made into “ugali”, (I’m not sure on the spelling for that.) a polenta-like dish. I haven’t tried it yet, but I hear it’s very popular. Here’s another thing that was unexpected, the Maasai Mara has surprisingly good cell reception. I know this not because I’m a teenager and we bring our phones everywhere, but because so many people here have phones! It was so unexpected for me to be passing by houses with tin roofs and see someone talking into a cell phone when they don’t even have electricity.